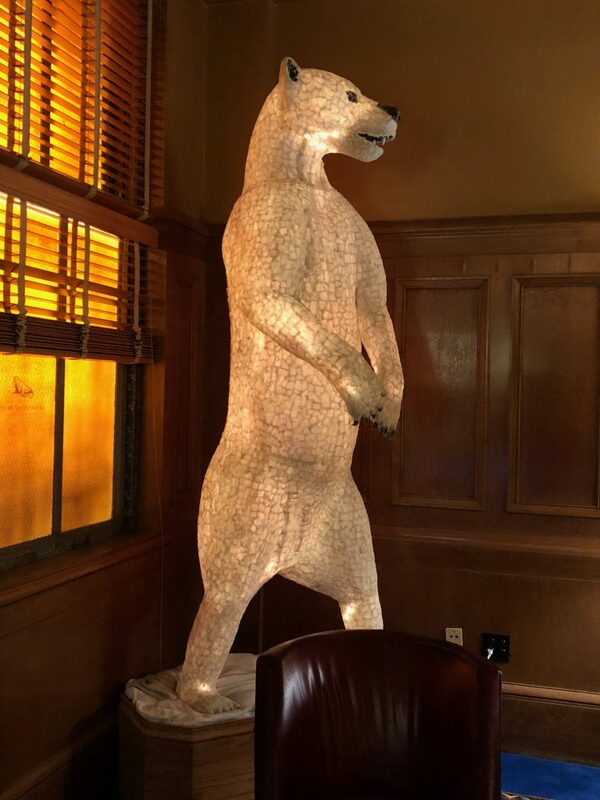 We stayed at the The Arctic Club in Seattle because it was only a bit away from the stadiums and we were surprised at how awesome the bar was! Mike, the bartender, who’s been a staple at the Polar Bar for decades was one of the friendliest, most knowledgable bartenders you’ll ever meet and he’s created some great cocktails. The first one I had to try was “I Am the Walrus” with our little friend on top. It’s Rye, Campari, Sweet Vermouth all smoked. 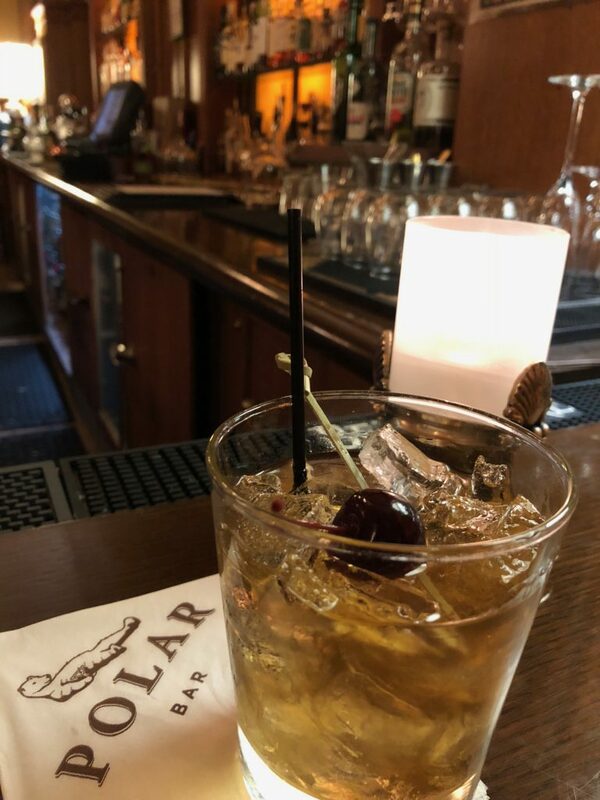 Next up was the Arctic Club Old Fashioned with Rye Whiskey, Angostura Bitters, Orange Bitters, Sugar Cube and a Cherry. 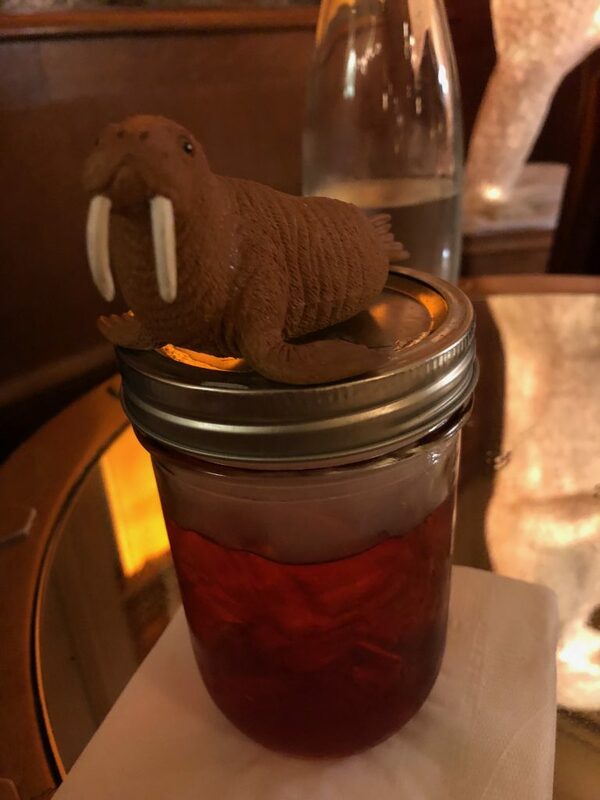 Other great drinks on the menu were the Smoke and Mirrors, the Arctic Club Manhattan, Pioneer Sour, Seattle Regrade and Mike does spectacular Sazerac which I love! Lastly… the Polar Bear… ROAR! This place just makes you feel classy while having a classy drink. And.. they have a polar bear! What more could you ask for?